The Minnesota Legislature convened about a month ago, and the first few weeks of session have been filled with overviews for committee members on relevant policies, state agency programs and other publicly funded programs that will be examined in the coming months. The major work for the 91st Legislature in 2019 will be finalizing a two-year state budget. That process will begin when Governor Tim Walz presents his two-year budget proposal on Feb. 19, followed by a revised economic forecast at the end of February. Similar to federal budget proposals from the President to Congress, a governor’s budget proposal is rarely enacted as proposed, but provides a framework and starting point for budget negotiations with the legislature. 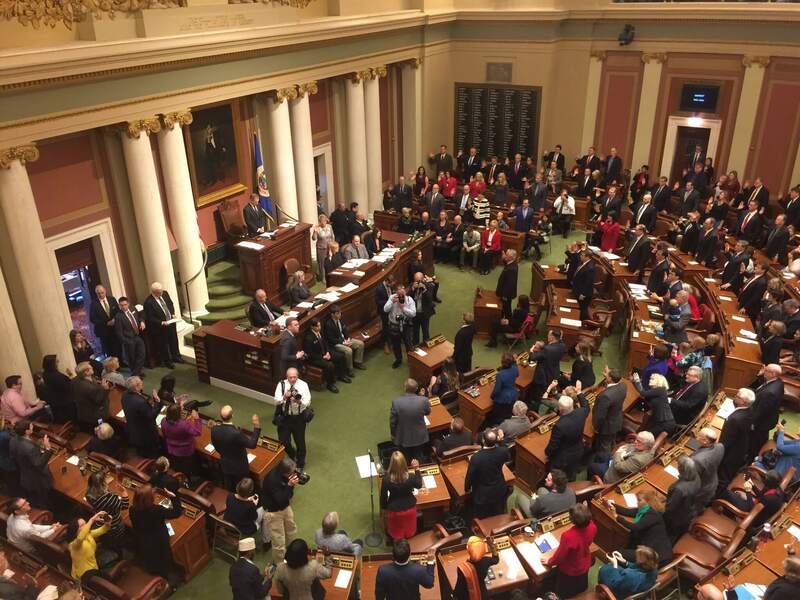 So far this session, nearly 800 bills have been introduced in the Minnesota House of Representatives, and 850 bills have been introduced in the Minnesota Senate. In order to help winnow down the number of bills under consideration during the final months of session, the House and Senate have agreed to joint committee deadlines for 2019. Policy related bills must successfully pass committees in their body of origin, whether that is the Senate or House, by the first deadline of Mar. 15. In the other body, committees have until the second deadline of Mar. 29 to favorably act on bills or companions of bills. Committees will then have until April 12 to act favorably on major appropriation and finance bills. The pace of activity is beginning to pick up in St. Paul, and important bills are being heard this week related to taxes. On Thursday, the House Taxes committee will hear two bills dealing with state conformity to federal law for Section 179 equipment expensing. HF 515, authored by Representative Jeanne Poppe (DFL-Austin), and HF 235, authored by Representative Glenn Gruenhagen (R-Glencoe), will be examined by the committee. MCGA supports federal conformity on Section 179 for expanded equipment expensing, which is a key tax priority for several agricultural and business groups. The Senate Taxes committee will also hear two Ag Homestead-related bills: SF 526 and SF 516 are authored by Senator Jerry Relph (R-St. Cloud). During the first few weeks of the legislative session, MCGA has been busy meeting with new members of the legislature that sit on the committees that will hear bills around MCGA legislative priorities. We have also had farmer-leaders in to meet with agriculture committee chairs in the House and Senate. Additionally, we are busy planning for our day on hill on Mar. 6 when farmer-leaders come to St. Paul to meet with legislative leaders and individual members to help advance our policy priorities. In the next couple of weeks, we anticipate bills to be introduced that will increase funding for agriculture research at the University of Minnesota under the Agriculture Research Extension, Education and Technology Transfer (AGREETT) program. We also expect bills that will address property tax relief for acres in compliance with Minnesota’s buffer law. We will be sure to keep you updated throughout the session as we work to advance policy priorities that are important to corn farmers and agriculture broadly.